Today I’m going to be taking a look at some of the photos that fans have been sending in to become my next Twitter header!! You can find part one of this photo collection over at the link below! 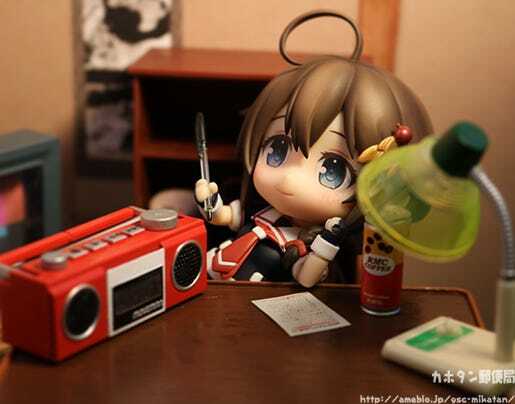 The world is always so different and enjoyable from a Nendoroid’s point of view. 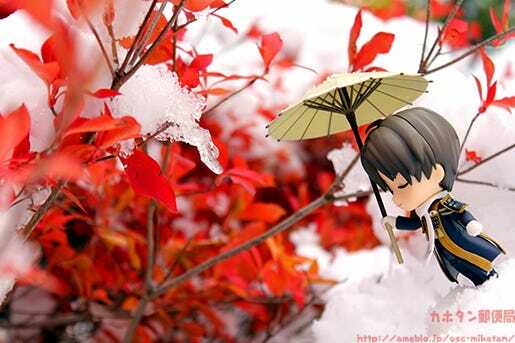 The white snow, red leaves and Heshikiri holding a paper umbrella!! The graceful atmosphere with Nendoroid Heshikiri Hasebe standing so peacefully puts my spirit at rest! It’s amazing what you can recreate in a photo with different colors, compositions and situations! I’ll be happy to see this whenever I go to Twitter!! Thank you so much for the lovely photo! Two years back, I went to Fushimi Inari-taisha in Kyoto and took this photo. It was unbelievably cold though! The chilly air really comes through in the photo! 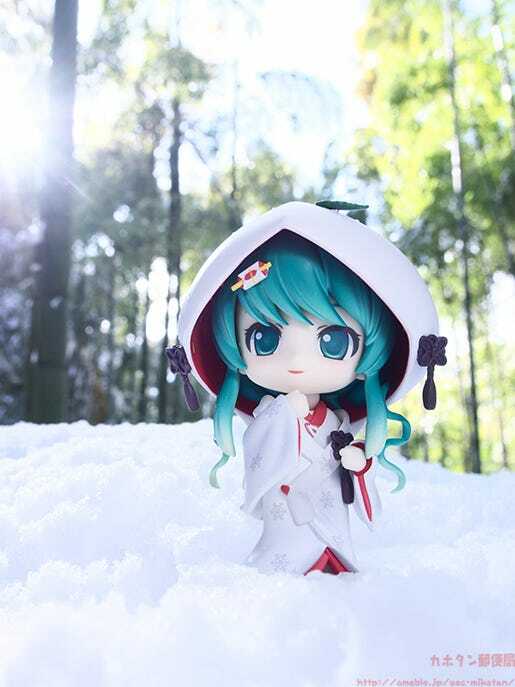 Snow Miku’s pale skin matches with the surroundings so beautifully, and the trees in the background being hit by the sunlight to give off a nice glimmer of light really make for an amazing photo! 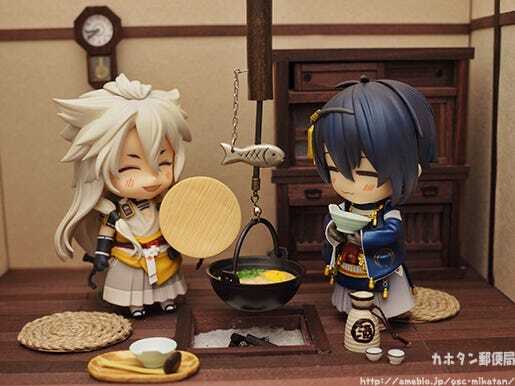 Kogitsunemaru is seasoning, Mikazuki is taste testing! 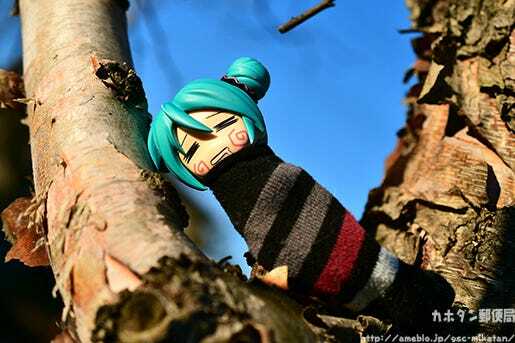 A warm photo of Shigure relaxing to keep you feeling warm during the cold Winter months! Such lovely accessories as well as a perfect pose for Shigure! I wonder what she is writing? Does it have something to do with the radio? There are so many details in the photo to let your imagination create a little story from the scene! 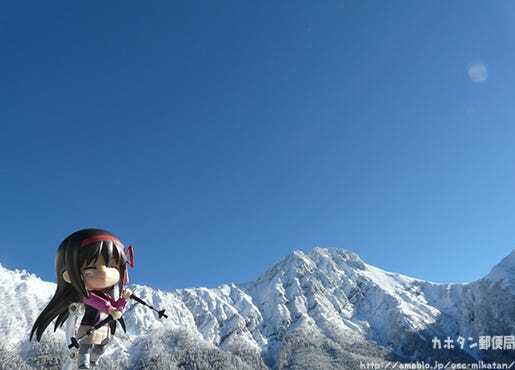 Mountain hiking with Homuhomu! Pure white peaks and a clear blue sky! This is what “Heavenly Blue” refers to!! Photo taken with the Olympus PEN Lite 7! I made use of some filters for a more icy effect! 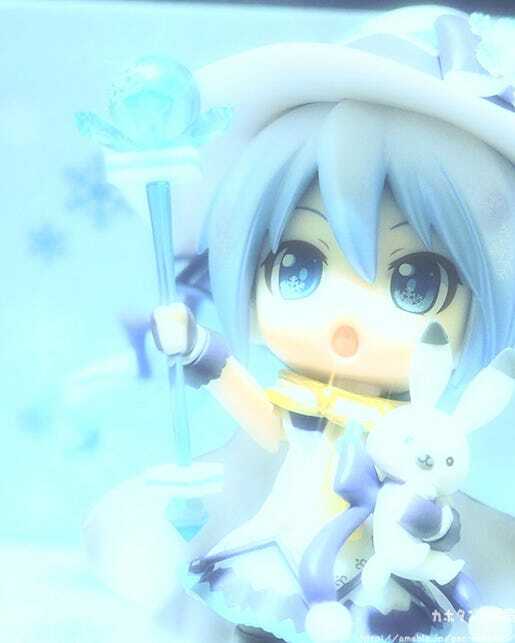 The pose shows Magical Snow Miku just about to use some of her amazing magic to create some snow for the snow festival! 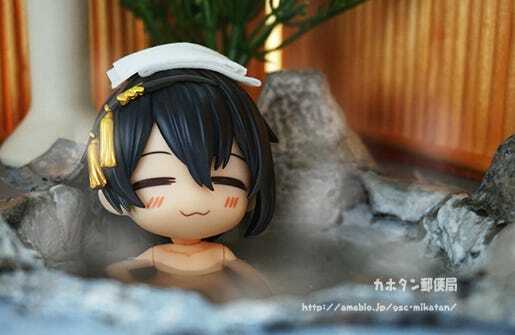 I wish I can go to Japan and enjoy hot spring during winter! 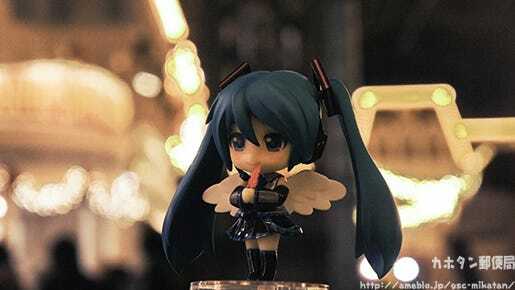 I want to Disneyland with Miku-san the other day! I wish I was one of those kitties by their side to enjoy it with them!! Happy New Year!! 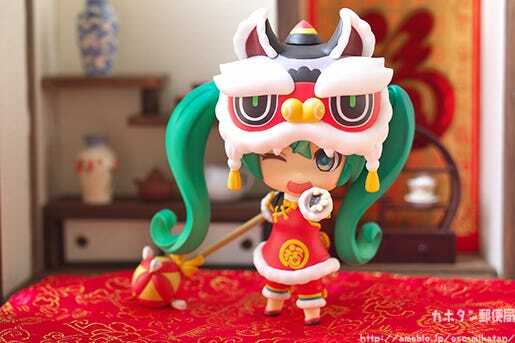 Seen it’s the New Year I decided to send in my Lion Dance Miku-san! 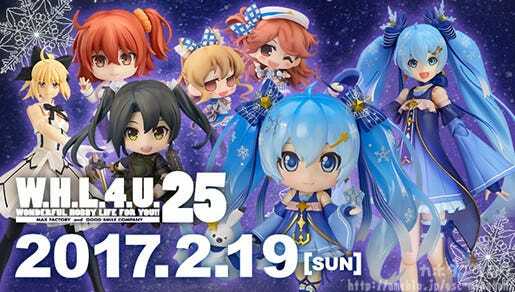 I’m looking forward to many lovely figures in 2017 and wish everyone at GSC the best! I took this photo in my home with using my little studio for photograph little products. 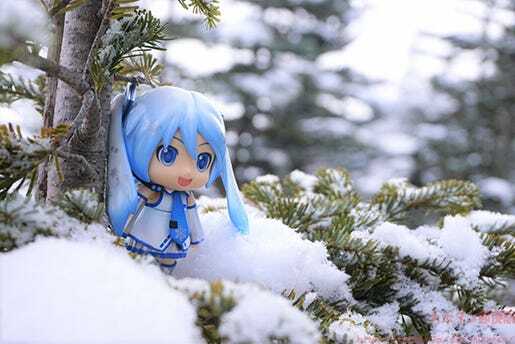 I photograph figures every holidays and fortunately, I saw that link and decide today’s theme is Winter. 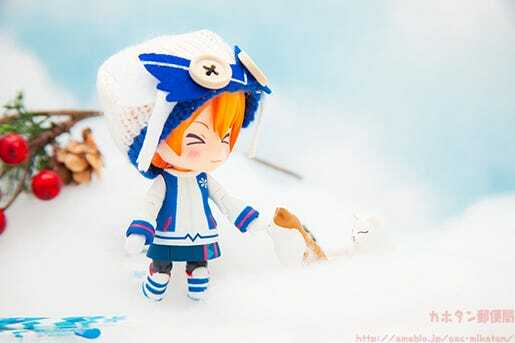 This photo is mixed with Snow Owl And Hoshizora Rin because I’m big fan of Love Live. Also I thought Rin is good at harmonize with Snow Owl and beautiful with this theme, so I mixed and photograph this photo. 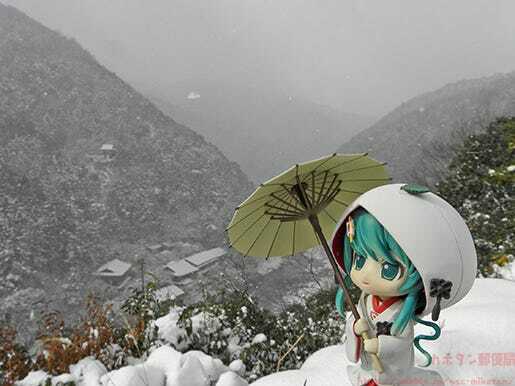 There was rather heavy snow, so I went out to Arashiyama in Kyoto with my White Kimono Miku-san. It was rather cold, but a very fun expedition! You’ll never get to see lovely snowscapes unless you are willing to brave the cold weather! This photo proves it’s worth the cold!! The various little homes between the mountains make for an amazing location! Winter means a lot of rain and chilly winds here! 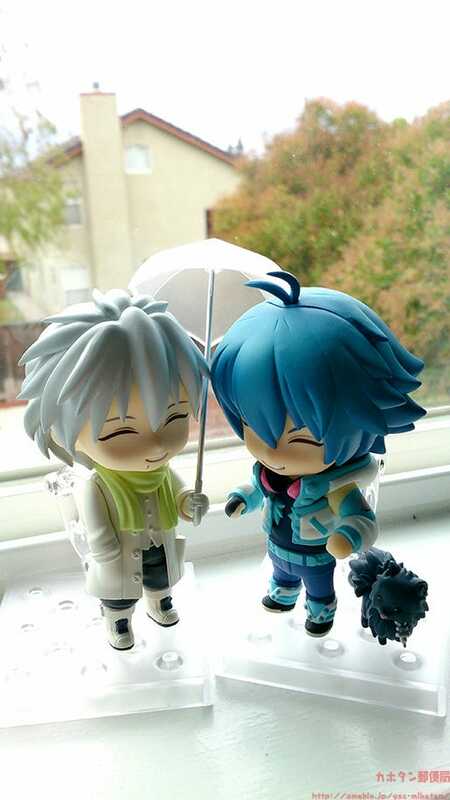 Stay warm and dry with Aoba, Clear, and Ren! 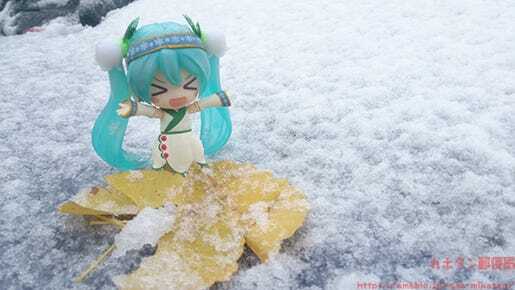 A photo of Snow Miku Dayo- in the snow. 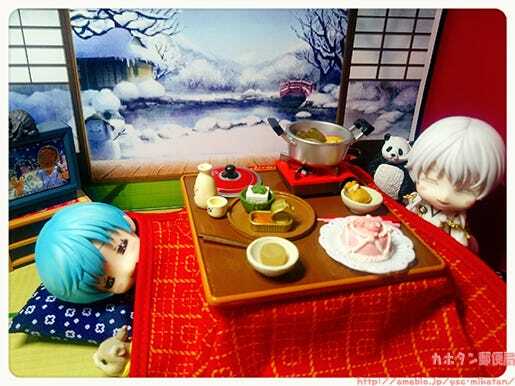 It’s so easy to want to fall asleep under the kotatsu! A lovely photo that captures the everyday life of the sword boys in their home! The details put into the background and accessories shows Yuna’s dedication to her citadel! I want to see more!! 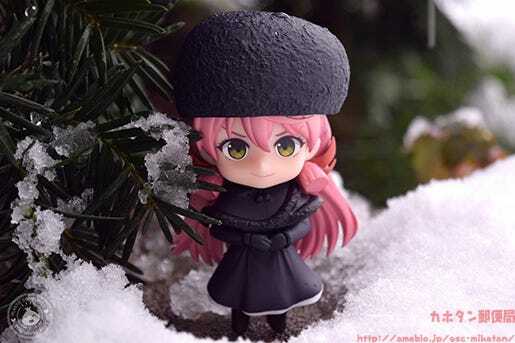 Sweet little Akashi wanted to take a picture to send Christmas cards to all her friends. 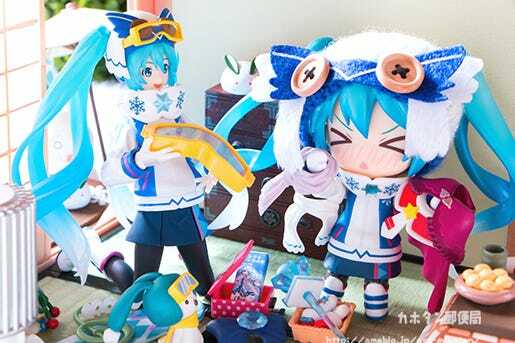 The snow has piled up outside and thus Nendoroid Snow Miku is having trouble deciding what to wear while figma Snow Miku gently looks on and has some recommendations! 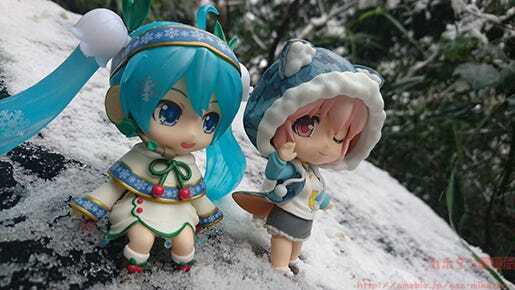 There are various little hints to the previous Snow Mikus in the photo, so take a look out for them! 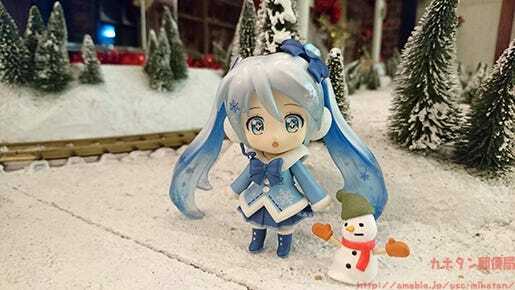 So many lovely photos filled with love for winter and love for figures! I hope everyone enjoyed them all as much as me! Thanks again to everyone who sent in photos!! I’ll be looking for photos for the next header in March sometime!